MOCAP Square Vinyl Plastic Caps are tough yet flexible. These square plastic caps stretch just enough for a perfect fit on square tubing and other square shapes. Our square caps are designed for product protection or quality finishing to square parts. Available in a wide range of square sizes. 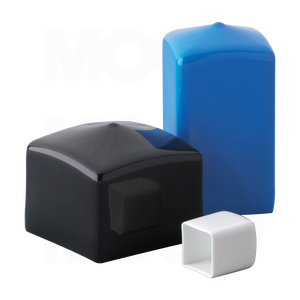 MOCAP square vinyl plastic caps are available in several sizes to fit your application.